Retailers used to think of mobile design as a ‘nice-to-have’ optimization. Today, though, an intuitive mobile-first design is mandatory for creating engaging experiences and driving organic traffic. Wait….organic traffic? What does SEO have to do with mobile design? More than you might think. In the old days, sites used to create a separate m. subdomain especially for their mobile site. This required separate content and management, often resulting in a disconnected experience with limited functionality and engagement. The easiest way to test if a site or page is responsive is to simply visit that page in a browser like Google Chrome, and resize the window manually. As you make your Chrome window smaller, you should see the site elements (menus, headers, buttons, etc.) re-size to a certain point. If the site is responsive, that point will be where it ‘goes mobile.’ Top navigation will most likely jump to a pull-down, accordion-style version, and on-site elements like images will most likely reformat into one column. From an SEO perspective, search engines are prioritizing mobile experience quality more than ever. One of the biggest criteria is mobile page load speed. Google provides a page-speed testing tool, which allows merchants to test how quickly their pages load on mobile devices and suggests possible improvements and optimizations. To use, simply paste any given URL you’d like to test in the tool and let it run. Google will take a minute or two but will deliver a breakdown report of your page’s speed with lots of insights as to how you can improve it further. Some low-hanging-fruit tips we commonly see for our clients involve image compression. Google provides an extremely detailed list of mobile-first design tips. The bottom line as of July 2018, is to make the mobile and desktop experiences seamless and identical from a content perspective. This move punishes those who remove on-page content due to its effect on the mobile experience, and those who write irrelevant on-page content fill up a larger desktop webpage. So, what is Google looking for? Consolidated, consistent, concise, and relevant content. Example: A Product Landing Page (PLP) should feature some descriptive copy, but not a 700-word short story. A blog page, by contrast, should feature more long-form content. This content has different uses, but it is meant for both desktop and mobile audiences. Schema markup should also be the same for both sites. Since Google has been laser-focused on their new Mobile-First indexing, this means that mobile sites take first priority when it comes to search ranking. We recommend merchants with existing mobile-first experiences change as little as possible, save for usability features that work best for mobile users. This involves things like designing for ‘fat fingers’ and making the navigation clear, concise, and intuitive. 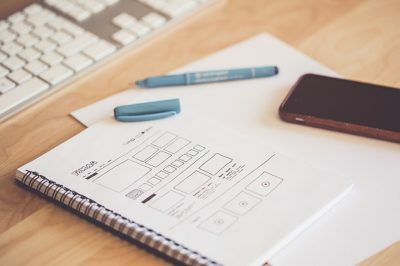 All in all, SEO and mobile-first design may seem like separate digital optimization silos, but in reality, they are closely tied together. With Google and other search engines tweaking their algorithms to increasingly favor the best mobile experiences, merchants need to ensure they are doing all they can to cut down on page load times and deliver content that resonates and helps their shoppers.